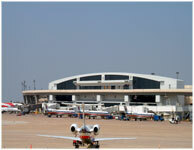 Construct 8 each, 4-story, 50,000 square foot Train Stations in the AOA at DFW Airport for the Automated People Mover Train System. Also, interior finish-out of two ground control towers for Delta and American Airlines. 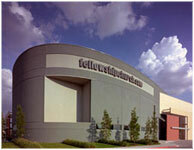 The Creative Communications Center (CCC) of the Fellowhip Church in Grapevine, Texas is a elementary and middle school educational facility, as well as a multi-purpose facility for religious use on weekends. The project consisted of all Architectural Woodwork, finish carpentry, drywall partitions, exterior framing and acoustical ceilings. FCS Celebrates its 55th anniversary. Southlake Town Hall consists of four floors that houses new council chambers, a city library, a municipal court, and offices for about 100 staff. Facility Construction Services performed all of the drywall and ceiling construction and architectural woodwork and finish carpentry on the project, along with all AWI custom woodwork both paint and stain grade. Centura Tower I is a 15-story office tower structure with an attached 11-story parking structure. Connecting the two buildings is a 4-story glass atrium featuring a 5-story pendulum clock. Building structure is concrete with stone and glass exterior. Facility Construction Services performed all of the architectural woodwork and finish carpentry.